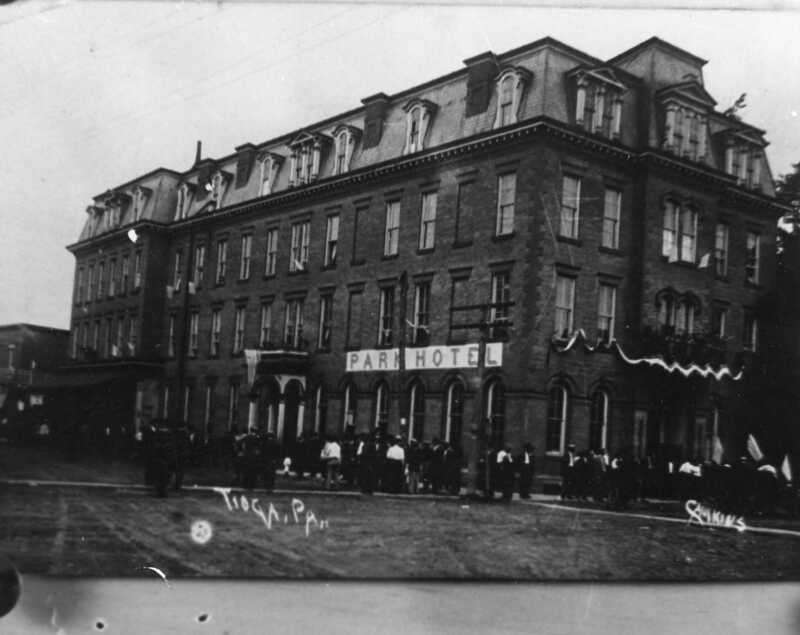 The only real mystery about this photo, of the Park Hotel in Tioga, P.A. — is what year was it taken? Before the streets were paved that much is certain! 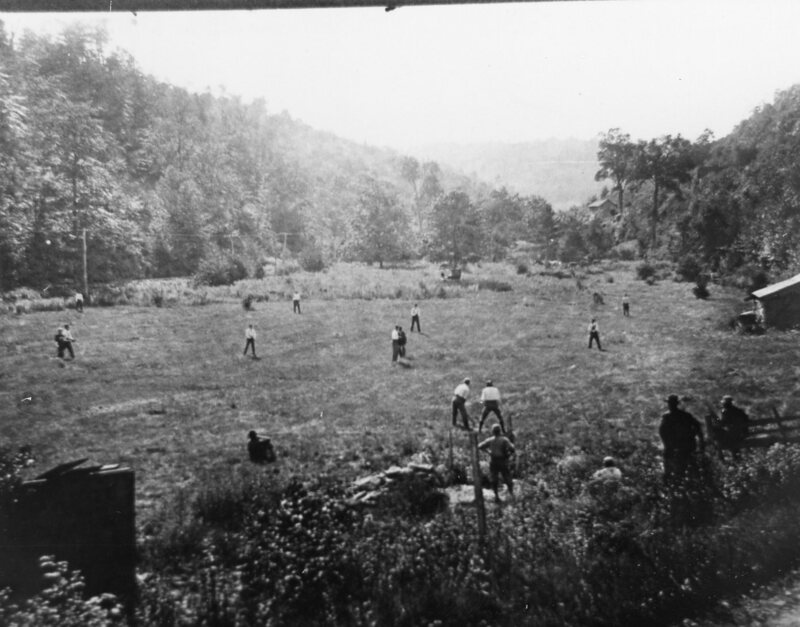 Our second photo for this week shows a local baseball game. And as with the Park Hotel photo, when the photo was taken is a mystery. However, I’m hoping someone will recognize where the photo was taken! Photo 3: A Family Reunion? 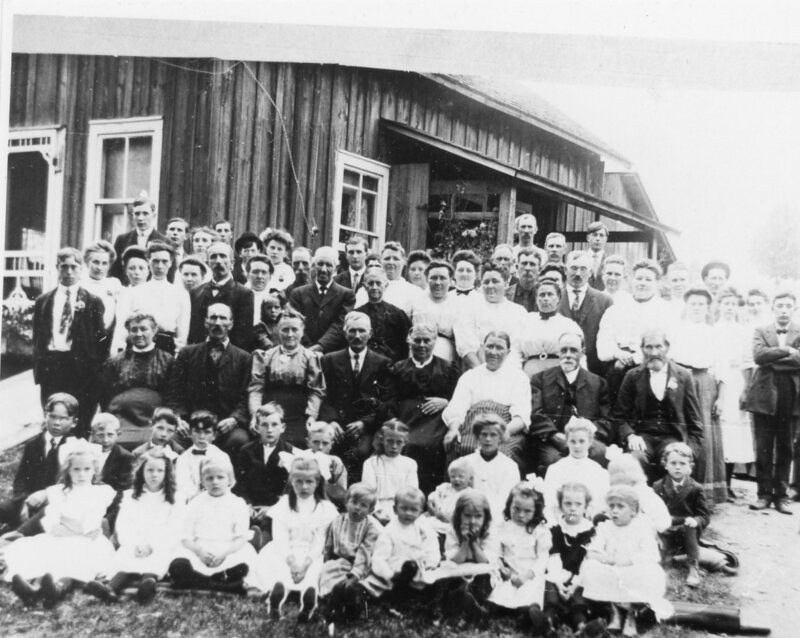 Our third photo for this week is a group shot, The photo is clear enough to recognize people but there is no info on when and where this photo was taken. So if you recognize anyone in the photo let us know!